(20-Oct-17) SWOT will provide high spatial resolution sea surface heights and water height measurements of large rivers and lakes. 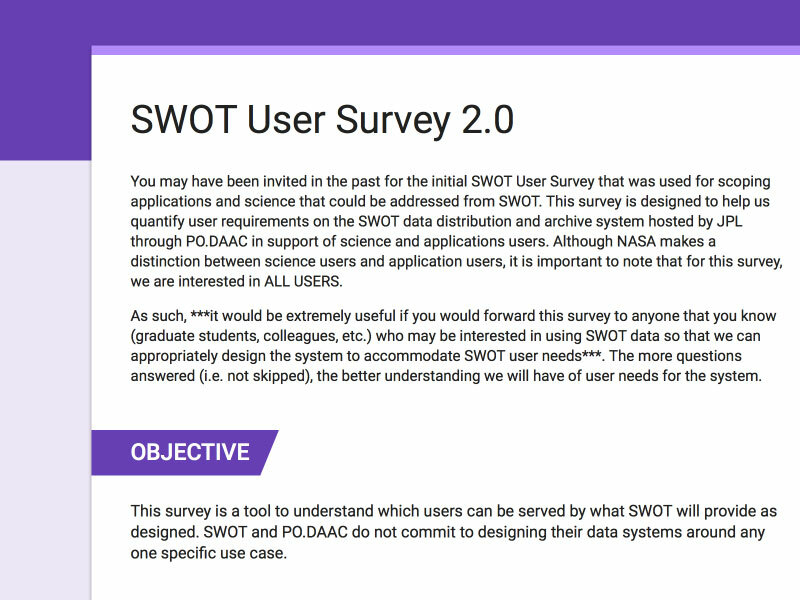 This survey is designed to help quantify user requirements on the SWOT data distribution and archive system hosted by JPL through PO.DAAC in support of science and applications users. If you are interested in using SWOT data please fill out the survey to help design the data distribution system.